Search results: subject:"Trinity Church (Boston, Mass.) --Photographs"
1 results found for: subject:"Trinity Church (Boston, Mass.) --Photographs"
Boston (Mass.) 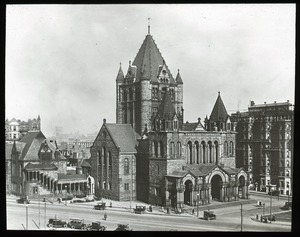 - Image of front of Trinity Church, Boston.